Robbie Bach joined Microsoft in 1988 and over the next 22 years worked in various marketing, general management and business leadership roles. He played an important role as a marketing leader in the successful development of the Microsoft Office business, and as Chief Xbox Officer, he led the creation and development of the Xbox business. Bach retired in 2010 as Microsoft’s President of the Entertainment and Devices Division. Robbie now works as a Civic Engineer with corporate, philanthropic, and civic organizations who are driving positive change in our communities. He speaks, lectures, and teaches extensively at schools such as UCLA, Duke University, the University of North Carolina, Notre Dame, Northwestern University, Santa Clara University, and Seattle University. In 2015, he completed his first book, Xbox Revisited: A Game Plan for Corporate and Civic Renewal. For more information, see www.robbiebach.com. As part of his civic commitment, Robbie serves on the national board of governors for the Boys and Girls Clubs of America, the United States Olympic Committee board of directors, and the board of directors for the Puget Sound chapter of Year-Up. He recently joined the board of the Bipartisan Policy Center in Washington, DC. He is also on the board of directors for Sonos Inc. He was an Arjay Miller Scholar at the Stanford Graduate School of Business where he earned his MBA, and a Morehead Scholar at UNC where he earned his degree in economics and was also named an Academic All-American on the Tar Heel’s tennis team. Based on his first book, Xbox Revisited: A Game Plan for Corporate and Civic Renewal and many of his blog posts, Robbie explores the development of a strategic process that enables all of us to be “civic engineers.” He explains how business principles can be used to influence, shape, and change the course of our local, state, and federal organizations in a more positive direction. Robbie’s approach is neither Democratic nor Republican; instead it takes a common sense view of what is in the best interests of our citizens and paints a picture that is independent of most orthodoxy and doctrine. Get Directions and Details Here! October 8th is a ROTARY DAY!! 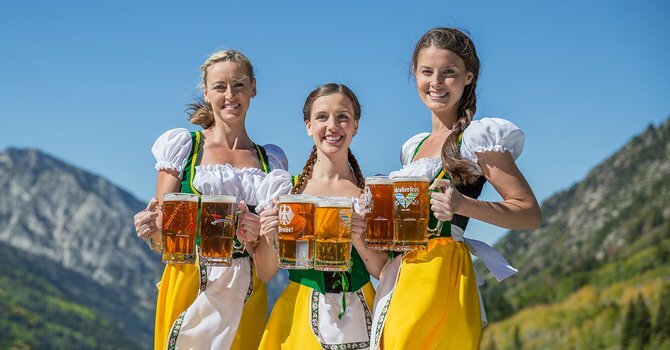 join us in the LTF Ratskeller for Oktoberfest! Click the Yellow Button above or Get Details Here! Put Your Heart on a Banner! 9 of the possible 16 slots have already been snapped up, but for just $100 you can advocate and evangelize your personal Service passion. We are still looking for sponsors for the Adoption Party, Rotary First Harvest, Scholarships, and Computer for the World. The rules are that each member can only sponsor one cause (we want to represent as many members as possible). If $100 sounds a lot, we will accept a partnership if you can find someone else to chip in $50 for the same cause as you. Will it be sunny and warm? Will it be wet and rainy? It doesn’t matter!! Our 3rd Thursday will be at Bake’s Place where we can enjoy the patio (weather permitting) or enjoy the music inside. Join us come rain or come shine! 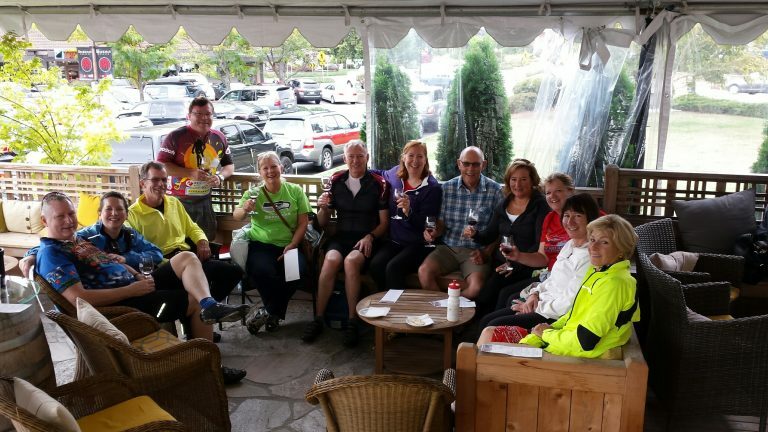 Our Annual BBRC Bike & Wine Tour is quickly approaching! Click here for details! Come Join Our Friendship, Fellowship and FUN!